This is a real bird. Are you shitting me? This is a real species. 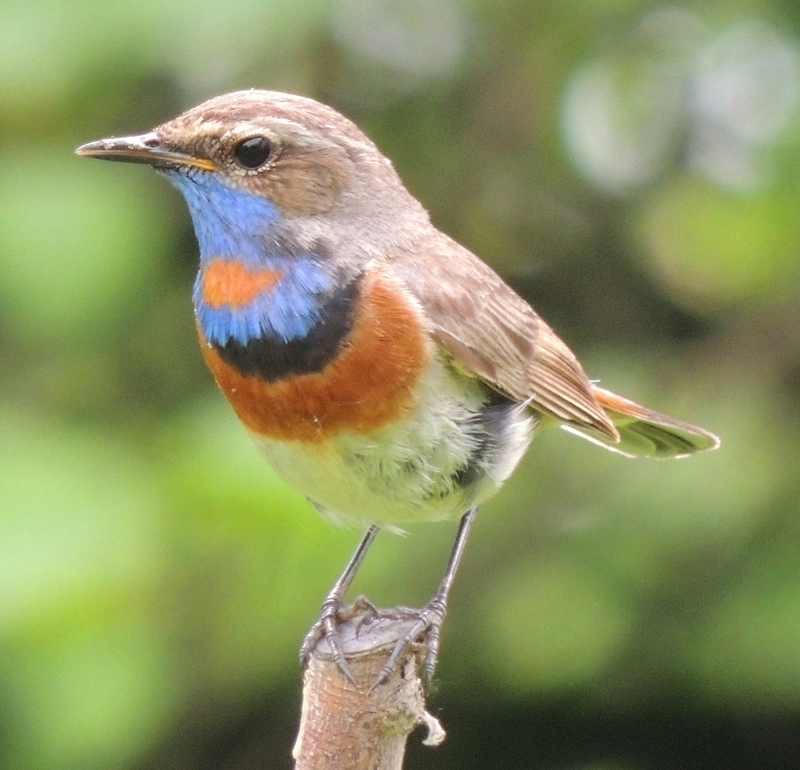 It’s called the bluethroat (Luscinia svecica) that breeds in Europe and Asia, and then winters in Africa and India. I mean seriously. How awesome is this bird?